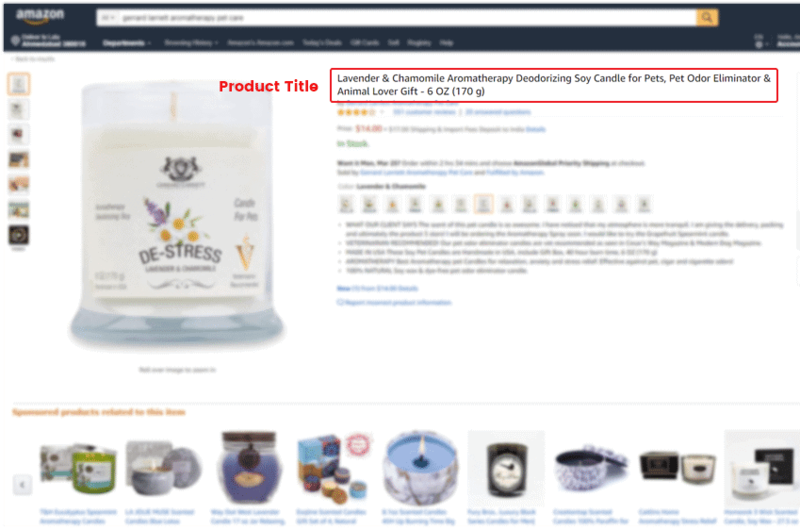 Did you know that in order for your product to appear in the Amazon search, the listing must contain the searched keyword? This highlights the important relationship between product listing and product listing optimization. Granted, product listing is an integral part of setting up your business in Amazon. This is where you create your product catalog; describe your products and other features in details. However, optimizing that product listing is even more crucial to increasing your rankings and conversions. Why Optimize Your Amazon Product Listing Services? 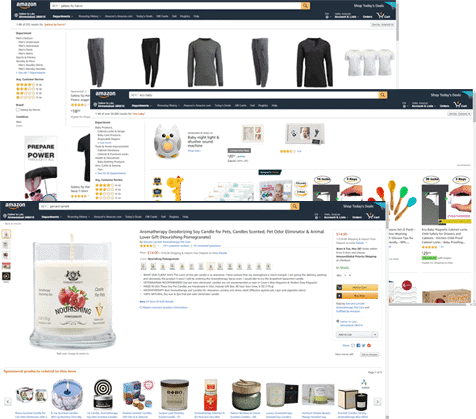 The manner in which you display your products extensively influences the buying decision of prospective customers and determines the success of your products on Amazon. Your product listings must therefore, allow your Amazon products to be found in Amazon search results. The listings should also encourage your potential customers to buy your products. There are literally millions of customers in the Amazon marketplace. As per the latest statistics, there are at least 100 million prime members on Amazon. The more you keep a close eye on the quality of your copy, the more likely you are to attract an audience that’s going to make a purchase. The fact that you need to stand out from the crowd cannot be overemphasized. With over 2 million sellers and about 2 billion products from 185 countries, driving traffic to your Amazon products list is hard. Converting those customers is even harder. Clearly differentiating your products has never been more critical. Increases your bottom line. More traffic means more conversions which means more sales. Amazon literally ranks you higher if you make them more money. 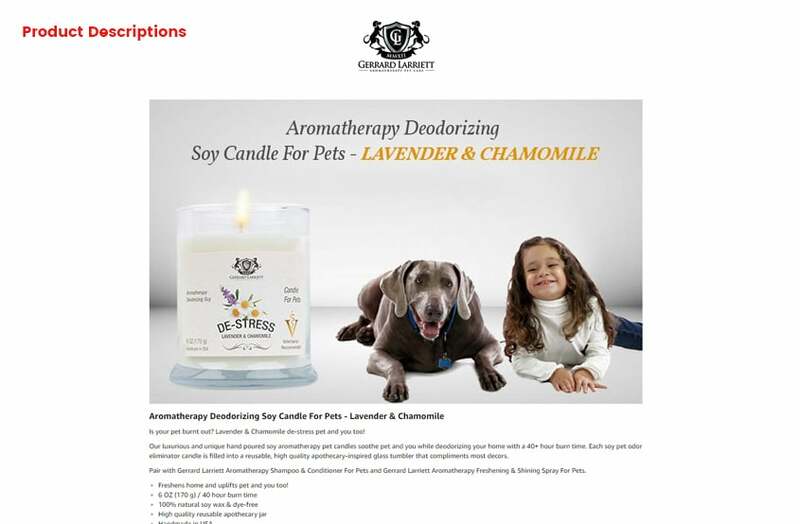 This is because their goal is to show customers the products they want to buy. So you can see how getting this metric right can impact your business tremendously. Previously, product titles that included searched keywords, ranked higher. As of October 2018, this is no longer the case. While the product title is fully indexed for the search, Amazon now places more emphasis on readability. You no longer need to spam keywords, especially in the title. Amazon would like you to focus on a product’s click and conversion rate and sales. Amazon allows you 250 characters for your title, including spaces. Some people advocate for using all your real estate, while others argue that short-to-the point is better. Whatever you decide, ensure that when visitors see your title, they understand and are convinced to click it. The first thing people see is your product title. At a glance, it should tell your visitors what it is, its key elements and benefits that set it apart from the competition. E.g. Insulated boys waterproof JD jacket in black and brown. Product title should include Brand name, product line, a key feature, product type, size, color, and packaging. The secret for an effective title is in the order. Place the most relevant keywords first. If there is a single thing that could sell your product online, it would be product images. Images have the ability to make or break a click-through, so give extra attention to how you present your product. Main image - The minimum requirement is a white background, filing 85% of the image frame. There should be no watermarks or infographics or any overlays. Detail images - They should show the consumer all sides of the product. 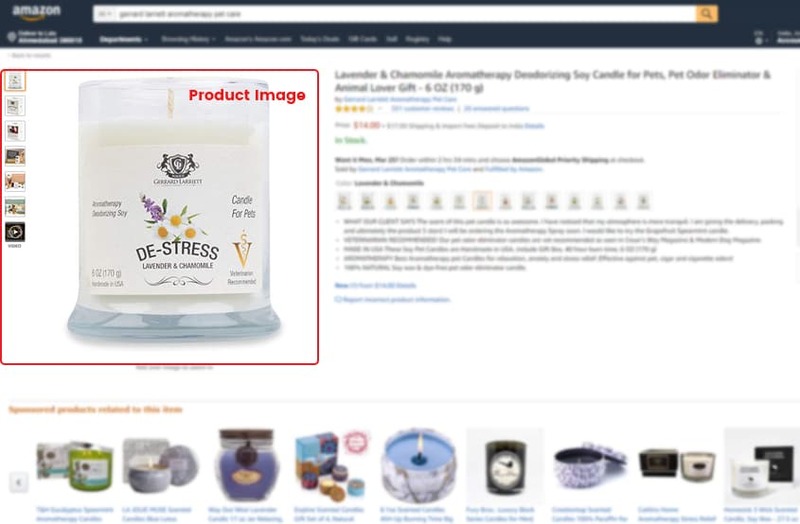 Focus on a single product per image. Show such details as scale and size, demonstrative graphics, accessories, and packaging. USP images - These should highlight a unique selling point e.g. ‘all natural’, or ‘biodegradable. The images should show visitors why they should buy your product. Lifestyle image - Show the product in a lifestyle setting. The buyer should be able to imagine themselves using the product. Return policy - Should show money back guarantee. It is important to show the customer this. It helps create trust and transparency. All images should at least be 1000px to allow zooming. Have different angles taken and have them close up. This is like the main event for your Amazon listing optimization activities. This is because it is meant to highlight the most significant features of your product. They are ideal for potential buyers who are not yet sure if they want to buy your product or not. They are looking for a key benefit that your product needs to have. Since bullet points appear above the fold and close to the images and price, they are more important than the full description. In addition to that, customers only spend a few seconds scanning a listing. Bullet points take up a huge portion of those few seconds. So make them clear and concise easy to read short sentences. You only have 1000 characters and 5 bullet points which are indexed for Amazon search. Keywords after that 1000 are not considered. So use 200 characters per bullet point so that you have a full indexing and a good conversion rate. Connect with your audience as in 'who is it for’? and ‘what is it'? Even though this is not as important as bullet points, it’s the last piece of info that a potential buyer will read before they decide to buy from you. Most of your competitors will neglect this part, so make the most of it. It’s your opportunity to snap those buyers who take time to read below the fold. Don’t forget that a maximum of 2000 characters is indexed. Accordingly, your best strategy for conversion optimization here is persuasive content. It is true you do not have much control over these elements, but this does not mean that you should ignore them. They act as social proof and tell the buyers that it is safe to spend money buying your product. 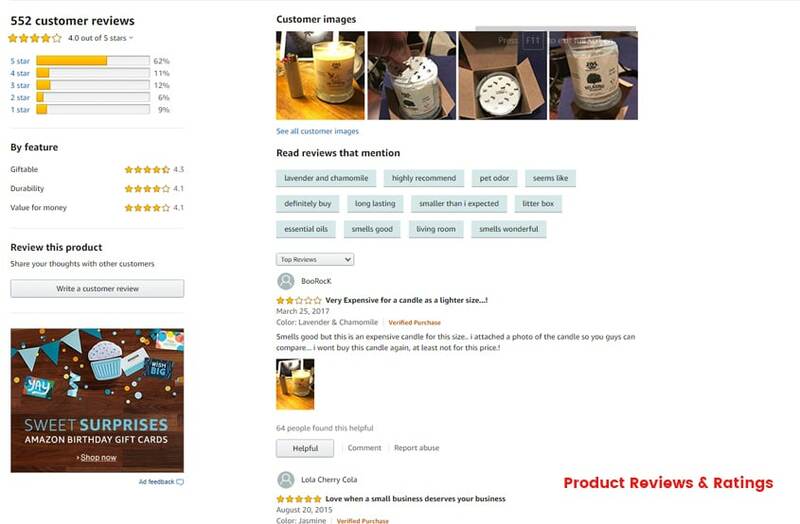 Customers rely on product reviews and ratings to make informed decisions. However, don’t think that you will get best results by only including positive reviews. Buyers will smell a rat if they don’t see anything negative mentioned. Consumers are more trusting of listings that include both negative and positive reviews. So work hard to get honest and unbiased reviews. Take advantage of Amazon’s free based programs for generating reviews. On Vendor Central it is Amazon Vine while on Seller Central it’s Early Reviewer Program. Send automated emails to keep your customer informed about when their product will arrive. Encourage feedback and reviews here. Periodically test your processes to ensure they are up to standard. Specifically read bad reviews. Comment on them. Add your own perspective to shed better light. It shows excellent customer service and might even convince the buyer to amend the review. Reading might also highlight something you need to improve on (either with the product or process) to prevent similar review in the future. 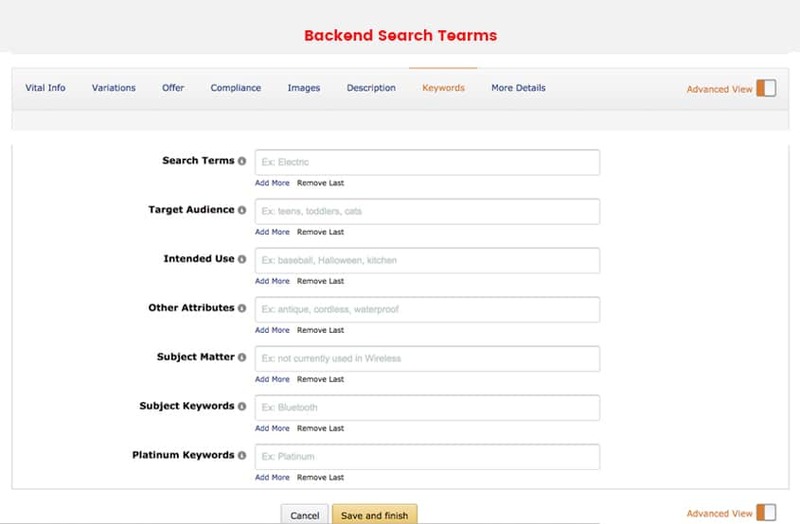 These are the hidden keywords that you enter into the backend of Amazon. Customers don’t see these terms but they do get indexed. It is an excellent place to stuff your keywords. All the remaining terms that were not captured in the title, bullets, and description can be knocked out here. It’s also a great place to drop any foreign terms (Spanish), misspellings and common words in your niche. The limit is 249 characters including spaces and punctuation. Exceeding this limit will mean that none of your backend keywords will be indexed. Good thing Amazon will usually warn you if you are about to cross the line. You don’t need to repeat a keyword if you have already used it elsewhere. Choose 10 competitors that have good sales and reviews, rank on page 1 and are relevant to your product. Extract their keywords and add them here. Put the search terms in a logical order. Most people buy from their phones than desktops. Make sure your listing looks good on mobile first. Have a clear set of targeted keywords before you start. Do keyword research and get a wide picture of your competition by using Amazon search results. Focus on 10 main players in your category and identify what is impacting their rankings. Note where you can highlight a competitive advantage. Leverage on your competitors’ reviews and uncover their weaknesses. Use the Q&A section to cover information gaps. Answer their questions and then include this in your description. 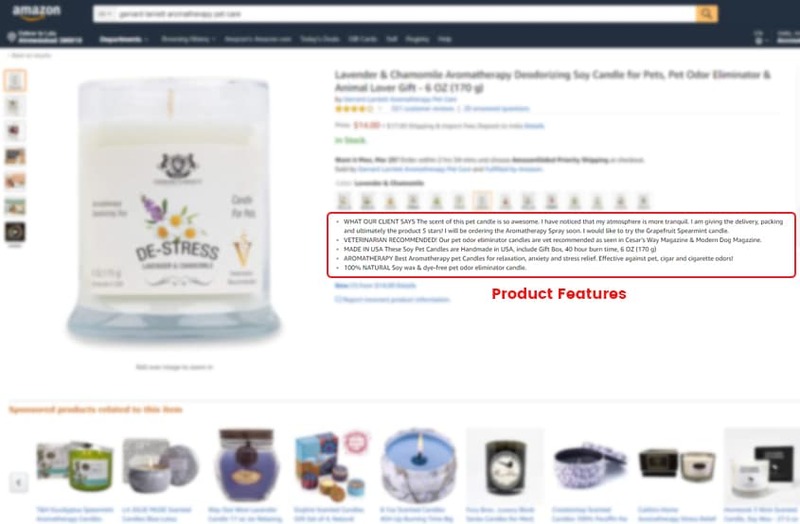 Take advantage of Amazon product listing ads to list your products on the product detail pages and in the Amazon search result. Remember back in the day when you needed a physical product catalog? You did not do it yourself but went to the experts who helped you showcase your items in an attractive way so that you could sell them. This soft version is even more complicated now. Trying to keep track of all the columns of data as your number of listings increase is no joke! Keep in mind that if you list in the wrong category, you will never be found! Clearly, this is a time-consuming aspect of your business that could be spent more productively. Most people who are looking to buy something on Amazon will compare the top half-dozen players and then choose. So how can you achieve being on the top 6? By hiring an Amazon listing expert. Amazon doesn’t have a habit of announcing any updates on their search algorithms. It is impossible to tell how often the ranking algorithm (A9) changes. This is where an Amazon listing specialist comes in. Take for example the product title change that happened recently, most sellers do not know this and are still operating on the old rules. There are a few areas that make up a listing, but if you miss any or take a shortcut, your products will perform poorly. However, if you get them right, your conversions will change overnight. If you do not have the time to do this meticulously, then hire a professional Amazon listing services specialist. Our technical experts know all the tips and tricks needed to manage your entire catalog. It doesn't matter how crowded Amazon becomes, if you team up with us, you can still be ultimately lucrative. We are Amazon Consultants that create sales. Please allow us to help your business grow. Product listing is made up of few vital elements; Product title, Product Image, Bullet points, Product description, Product review & ratings and Backend keywords. You must get all the elements right. Check your Q&A and reviews often. Most consumers read reviews than a brand’s written content. Thoroughly choose your best backend search terms. You don’t need to lose business by having poor listings on Amazon. Allow us to be your professional Amazon product listing partners. Connect With Us to discuss every bit on our Amazon EBC Services, and how we can help you with your product!